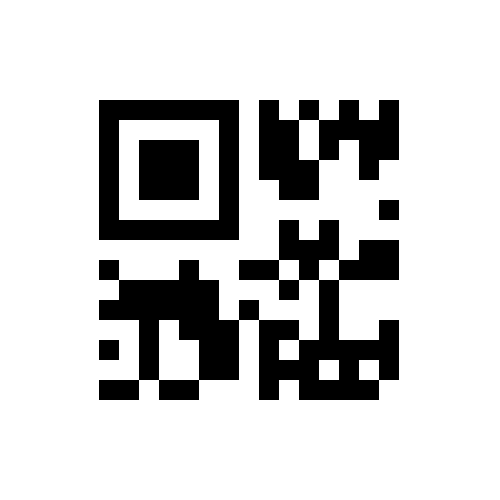 Micro QR Code is a two-dimensional barcode based on the popular QR Code. By dropping two of the three position detection patterns of its predecessor, Micro QR Codes are able to be printed at a fraction of the size while still encoding a relatively substantial amount of data. Micro QR Codes have four versions corresponding to sizes and error correction levels, the maximum of which can encode up to 15 bytes, 21 alphanumeric or 35 numeric digits. Uses Error Correction Code (ECC) to reconstruct damaged barcode symbols. Store up to 15 bytes, 21 alphanumeric or 35 numeric digits in one Micro QR Code. The Micro QR standard specifies 4 different sizes for the Micro QR barcode. The maximum data capacity varies, depending on the size of the barcode and its Error Correction level.